Touchon is still one of the finest of the Nantes-type carrots. The best for eating out of hand and free from hard fiber. This old French variety is quick-maturing to about 6" long and 1" across. Carrot, Touchon is rated 4.5 out of 5 by 16. Rated 5 out of 5 by FarmerJules from Excellent !!! My first attempt at growing carrots EVER. We planted these Touchon carrots AND the baby (Caracas) variety. We started them beginning of March (Zone 9b) into above ground planters my husband built. I tossed the thought of using fertilizer around a bit but in the end chose not to. NEVER even had ONE pest so didnt have to use any poison/spray whatsoever. It was SOO rewarding to harvest as a family (invited my parents over for the pickin' party) Picked em. washed em up quickly, and chowed down. Healthy snacks directly from the garden. I read some reviews--people complaining about an earthy flavor but that was just NOT the case for me. The baby carrots were super crisp and sweet, while these Touchon carrots were large, crisp, sweet, and RICH. Dare i say they are even better tasting than the ones we buy in the stores. I dropped my seed in one by one (so i wouldnt have to worry about thinning later) 50 of these Touchon carrot seeds were planted and we ended up with 45 carrots. I always buy Burpee for their FANTASTIC germination rate!! Im pleased ALL THE WAY AROUND! Doing it again in the fall!!! Rated 5 out of 5 by Texas Al from What a great flavor It was hard to bring these into the house. 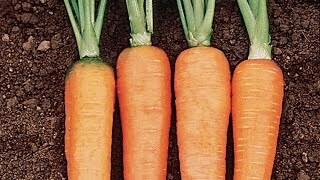 I love carrots, and would eat a couple every day right from the garden as they became ripe. This is my favorite carrot of all, sweet, carroty goodness. Rated 2 out of 5 by JessBirm from Poor germination / hardly any carrot flavor I was very disappointed in this carrot variety. Germination was very poor...only abt 25% germinated. Of those I waited a full 3 weeks past recommend harvest time and carrots were still very small. Only a handful grew to abt 6 inches. Most looked like the baby carrots you get in the store. 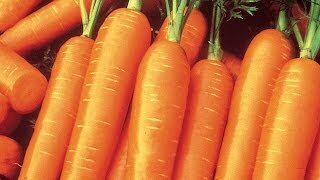 While very crispy when raw, several of my family agreed that there was not a strong carrot flavor and if eaten with hummus, you couldn't even make out you were eating a carrot! For my fall planting I am going to try another variety. Rated 3 out of 5 by TravelingAnn from Ok, but not what I was hoping First time planting carrots. Judging by other reviews, maybe I harvested them too soon. Didn't seem very productive and they took forever to grow. Maybe growing carrots isn't my thing. Rated 5 out of 5 by OkieGardener from Get a touchdown with Touchon! I planted these carrots in a thrown-together small raised bed made of scrap fence pickets very late last season. The carrots apparently laughed at our ridiculously mild winter here in Oklahoma - though it got down to the teens - and when things started warming up? I was pleasantly surprised to see them take off again. Little did I know the small tops hid some BIG carrots underneath! In the middle of February? Couldn't believe it. Surely they would taste "weird." On the contrary! They were crisp and wonderful. A very mild, not-so-sweet carrot flavor that I really like. I planted a ton more in larger bed and can't wait to get more this spring. I'll replant in the fall for another surprise bounty like this year! Love this carrot! Rated 5 out of 5 by LizzieEmGee from Impressed! These are hands-down the best carrots I've grown. They are deliciously sweet, tender, and crunchy, even at the largest size. Just as an experiment, I left a few in the ground from my spring planting until late December. Some of them were down right enormous, but still as tender as can be! See the attached picture (ignore my Christmas glitter manicure). I grew these in a mixture of our native topsoil and compost (courtesy of yard waste, kitchen scraps, and our small flock of chickens). For me, there's no reason to grow any other variety! Rated 4 out of 5 by HJoy from Reliable Carrot A nice reliable carrot, with a good solid top for easy harvesting. It could be sweeter, but trades that lack of sweetness for good solid growth and a massive girth if left in the garden long enough.